I was up in Yorkshire last week, based in Huddersfield and seeing a few of the mills and merchants, including Pennine, Johnsons and Dugdale. 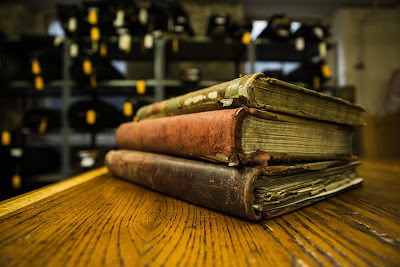 What struck me hardest when I got back was the lack of understanding among bespoke customers, and even Savile Row tailors, about how the mills, the merchants and the various brands on the cloth books relate to each other. 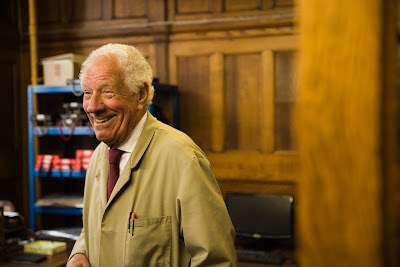 The front of house at one Row tailor thought Dugdale wove their own cloth, while most admitted they had never been up to see any of the processes – which leads to myths about the finishing, among other things. This first post, then, will set out the various players in Yorkshire and their relationships. Mills and cloth merchants are largely separate. The mill weaves the cloth, often for many different merchants and to their designs and specifications. So going around Pennine, for example, which is probably the highest quality mill in Yorkshire, you will see Dormeuil and Dugdale cloth being woven on the same looms. There is no difference in the weaving process, just the yarn that goes into it and the set of the weave. There is then the finishing, which I will go into in a separate post. WT Johnson’s (below) and Holmfirth are the most significant fine worsted finishers remaining, though a re-vitalised Herbert Roberts is also improving. The merchants perform a very important role. They come up with the designs, they hold the stock and they sell to the tailors (or indeed made-to-measure and RTW brands). They make big investments for gradual returns – it usually costs between £100,000 and £200,000 to lay down a bunch, with one or two ‘pieces’ (around 70m on average) being woven for each swatch. In recent years, mills such as Taylor & Lodge have been putting out their own bunches, which confuses things slightly. Rather like how Bresciani or Drake’s have started selling their socks and ties directly to the customer, this muddies the waters slightly and creates some tensions in the industry. It’s even more complicated at shows such as Premier Vision, where someone like Gucci might be buying cloth from both mills and merchants. Some merchants also own their own production. Scabal, for example, owns the Bower Roebuck mill, which then produces 99% for Scabal. And Holland & Sherry, which is now owned by the Tom James group of travelling tailors in the US, has a lot of its cloth woven by the Chilean mills that are also part of that US group. In fact, that organisation is entirely vertically integrated, from (Chilean) sheep to tailor. Merchants often weave with more than one mill – Dugdale’s uses three, for example. One more complication: more progressive merchants often have a middle man between the merchant the mill, who is in charge of sourcing the yarn and arranging and managing the production. Someone like Dugdale has three individuals that do this specialising in different types of cloth. Dormeuil, on the other hand, has a separate company – Minova – that does it and is often confused for a mill itself. I won’t get into the Italian mills, not least because I’ve only visited a couple, but generally they have their own brands (Cerruti, Barberis, Zegna), so there isn’t the English split between merchant and mill. They also weave for others (including many English merchants who still put ‘Made in England’ on their bunches) and have regional distributors (eg Dugdale distributes branded Cerruti cloth). You can follow the discussion on Huddersfield’s mills and merchants explained by entering your email address in the box below. You will then receive an email every time a new comment is added. These will also contain a link to a page where you can stop the alerts, and remove all of your related data from the site. There’s no bias to different countries or bunches really. Most of my choice is made just on the basis of weight and pattern. People hate Supers because you pay a lot more for a finer material, yet you’ll barely notice the difference in wearing it and it won’t last as long. Most merchants offer the full range of cloths, yet they have reputations that are based on very little. Dugdales does a Super 180 with cashmere, and it’s a lot cheaper than some of their European cousins. It has the same stuff in it and is woven in the same place. There might be minimal differences in the finishing, but again they’re all finished in the same place as well. so simon lets say you are looking at H&S or Harrisons books for example .. how do you figure out where it has come from or is this not important anyway? Thank you for such a wonderful website.I wonder if you have ever come across the fine cloths produced by the Scottish mill Reid and Taylor in the 1970s through to the 1990s.In my view they really were the creme de la creme of all suiting cloths.The last time I saw them offered to the public was in the Silver Gander bunch from Scabal.It is very easy to envisage some aspects of the past as some kind of acme to which we will never see again.Nevertheless it is true that these threads were the Gold Standard that has sadly dropped out of favour now because they are considered too heavey for modern tastes.Yet they drape beautifully.wear like iron (as my old tailor used to say) and feel like silk. Wooster i think youre rtalking about their twist worsted cloth which was legendary and ranges were carried by Keith @ Henderson now part of Holland & Sherry, and Scabal. From memory there were 2 weights although I am not entirely certain what those weights were and the colours were magnificent consisting of several threads of different coloured yarn twisted together to make beautiful melange hues in blues, soft greens and steel greys. Superb article, not least because it pre empted a question re British mills. Would love to hear about more from outside Yorkshire. What is the relation of the Hield mill to the Hield clothing line? Reid & Taylor is still around. They have lent their name to a big Indian operation, but continue to sell high quality goods under their own name (made by Marling & Evans I believe). I don’t really see how bunches direct from mills muddies the waters but anyway… That is obviously the perspective of the merchants! Most English mills have their own stock service program or bunches and this is not really a new phenomenon (just as their Italian counterparts do). These bunches are heavily used in ready-to-wear because of the flexibility they provide. PS. It probably goes without saying, but Gucci clearly have more money than sense if they are sourcing from merchant bunches! One way it muddies the waters is that customers will get a very different service from a mill and a merchant. Most mills don’t have a stock service program in the sense of providing cut lengths – which the merchants will do. Mills use the same term to mean they will weave a whole new piece and send that. Not a cut length. Go round a mill and then a merchant and you immediately see the difference. Mills have a lot of yarn in stock, but no cloth. Merchants hold the stock of cloth. While it is true that the service will differ slightly from mill to merchant, the end product is ultimately the same. But you are right in the sense that to the final customer this is not always obvious. Plus, merchants will mark up their cloths more heavily so one large variance is price related (this is largely due to their commitments as you have mentioned). I have been to the mills you have mentioned above plus a few more, so I am very familiar with the level of service provided. I think you will find most mills do offer stock service programs with cut lengths by the meter. I use bunches from likes of William Halstead, Savile Clifford, Taylor & Lodge, Martin & Sons, John Foster etc etc for just this purpose. Many mills do offer that service, but it is still a relatively recent phenomenon. They also tend, although it’s not universal, to have less stock and therefore less of a stock ‘service’ in that sense. do you edit your replies. your piece is lacking in substance. you neglected the largest weave Antich and many innovative distributors. Only when they don’t add anything useful. Oddly, the three merchants and two mills I interviewed for this piece didn’t mention Antich. Thanks for pointing it out – I’ve now added them. I have looked at cloth for a bespoke suit at a tailor in Stockholm (AW Bauer). The cloth I fancied the most was Harrisons Frontier. Do you have any insight in the quality of that cloth? Thank you for all this information. I’m confused where Lesser or J&J Minnis fit into the picture. I don’t think they are mills but I don’t know if they are merchants or finishers, or what else exactly? Then, you’ve mentioned in another post that WT Johnsons are the best finishers. I’ve read lots of praise about Lesser as the best, or among the top. Do they use Johnson’s cloth? Lesser and Minnis are both brands used by merchants – LBD and HFW respectively. They used to be independent merchants, but not anymore. None of them are finishers – Johnsons is the best and biggest finisher. It does not weave cloth. Lesser was known for the finish on its cloth, but this was largely a case of being extremely fussy about the cloth they accepted from the mill and the finisher. According to most tailors I speak to, that attention to detail is no longer there. A great look at the fascinating and complex world of Huddersfield’s mills and merchants. It’s heartening to know that fantastic cloth is still being produced in the place where it all started. I had the pleasure of visiting Pennine while doing research for my book, The Coat Route: Craft, Luxury & Obsession on the Trail of a $50,000 Coat. From the outside, you would never know what magic they are weaving in there. 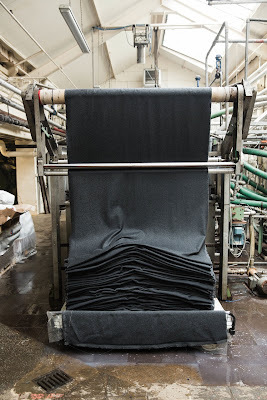 Harrisons frontier cloth is an all wool panama produced in Huddersfield by an independant family owned manufacturer, so far unmentioned on these pages, as are the commission weavers they’ve used to produce it for many years. 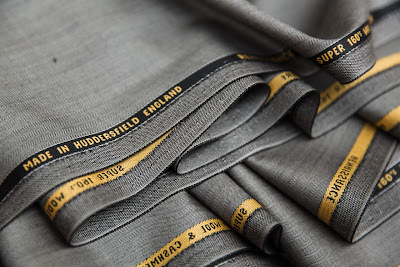 The cloth is finished by WT Johnson and sons in Huddersfield. Refering to the Harrisons Lesser bunch, this too is finished by WT Johnsons and I can assure you that the two gentlemen at LBD/Harrisons are as particular about the finish of that cloth today as any of its producers in the past may have been. Thanks. Are you saying Harrison’s has not been mentioned (it is) or that there is another manufacturer we haven’t mentioned? If the latter, could you tell us who that is? And please tell us the commission weavers also. The point of this post is to bring greater transparency to the market. I do not intend to cast any aspersions on the current gentlemen at LBD/H, but every Savile Row tailor I have spoken to disagrees with the comparison with old Lesser cloth. Explaining the curiosities of the weaving trade is an excellent thing, Simon. But I am not sure that you have drawn sufficient distinction between those mills that weave on their own account, and those that are commission weavers. Some of course are both. And then there are those manufacturing companies that do not weave themselves: ‘weavers without looms’ as they are known. I might add that there are many more of all three sorts than you have listed so far. Oh, and the most common reason that any particular cloth is not what it was is because the market has generally sought a constant reduction in cloth weights. And in any particular category, although light weights might be cheaper and sell better, they perform worse and never feel ‘right’. I speak, by the by, as someone who has been weaving woollen cloth in West Wales, West Yorkshire, and the West Country since 1976. Thanks Richard, that’s useful. Please do suggest any changes (perhaps on my personal email) and I’d like to include them. Bear in mind we are only looking for merchants or mills that supply bespoke tailors though. Best and most expensive are very different ideas. Some merchants offer cloth with diamonds or jade woven into it. It’s expensive, but horrible. The overriding message of this post is that the mills and merchants don’t make that much difference to quality these days. Buy for the raw materials, and roughly where it’s made, but don’t worry about anything else. Thank you David. I’m afraid I didn’t have time to visit every mill – I’m sure you’ll appreciate that would have taken a while! Thanks David. The information from the other mills was clearly out of date. At the time of you writing this article we would have had 40 Looms. A fascinating read, and I am intrigued. It is almost all correct, but it would be unfair of me to criticise. You are obviously not a local born and bred in Huddersfield. That’s OK, no hard feelings. I was idly browsing around the internet sites related to Huddersfield Cloth reminiscing and thinking sadly about times past. Here’s wishing you every success and good fortune with your publication Permanent Style. Many thanks. As a good journalist I’m always seeking to be 100% accurate, so do let me know what is incorrect. Most of the people that contributed information to this are locals, so I would have hoped that helped. i have a store in india, please let me know if you can suggest a good english mill , right now we are carrying vbc, looking for something in the same price range. Thanks for a great article – but have now checked all of the merchants website, and all most all of them only sells to business’. Can you recommend some places where I can buy fabric online ? There aren’t very many, and frankly I wouldn’t recommend it most of the time. It’s very hard to get a sense of cloth online. Please help me figure the difference between a cloth merchant and modern designers out. Prior to the industrial revolution, people used to buy textile and make their own clothes. The most lucrative kind of business was the selling of cloth to people, who would make their clothes themselves or take it to the tailor. However, today people demand ready-to-wear clothes more than ever. My question to you is: what is the modern equivalent of the middle ages cloth merchant? Are textile mills replacing the cloth merchant or a designer like Zara is? Thank you so much for taking the time to read this, and please get back to me whenever is most convenient to you. Was wondering if their fabrics are any good? Are they made in England ? Hi Simon, can fabric be purchased by the suit length from Bower Roebuck or would you have to buy from Scabal? Simon, ignore my previous reply. So Dormeuil would be a merchant and Penine would be the mill. So when a merchant approachs a mill to make fabric, does the merchant supply the cloth? Or simply just the design and specification, then it is branded and sold by the merchant? I don’t think you mean ‘cloth’. The merchant generally supplies the design and specification, yes, and the mill will source the yarn that is woven into the cloth. But the relationships vary a lot, not just between mills and merchants, but across different bunches within a merchant’s range. Some they may have designed specifically for a season, some just bought from the mill as standards, some bought in ready-designed from another mill or merchant. The point is, you shouldn’t worry or think too much about all the different players. Just look at what the merchants provide – they are trying to offer you a unique and broad enough range to enable you to select a cloth you want. And judge it on the qualities you can see – weight, weave, finish, pattern etc. Thanks Simon, that makes sense. So if the mill is the source, why would one not just go straight to the mill and get the same great fabric without the merchant logo? – Merchants are set up for retail, to the customer or through tailors. 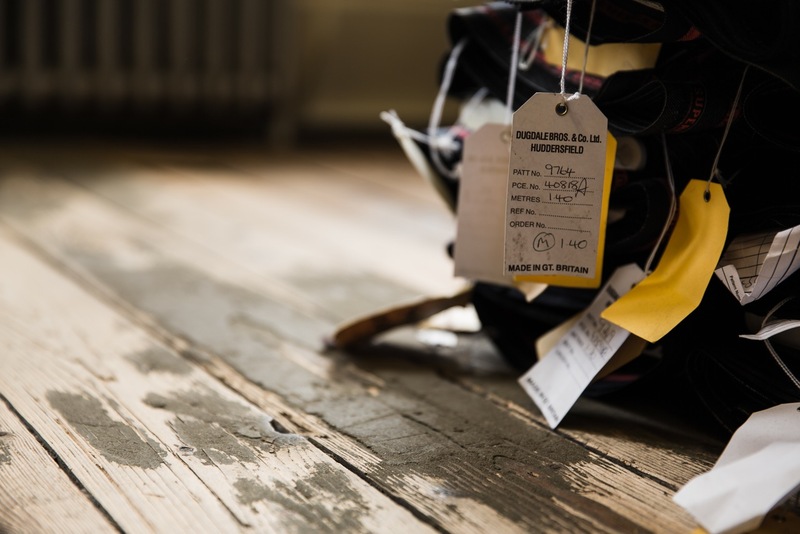 So they have customer service, couriers, staff – they are basically set up to provide small lengths of cloth to lots of people. Mills are not, and they’re business model is never going to support sending out the same volume to lots of people. Hi Simon, who and at which stage is the fabric dyed? I am doing a research to find the mills than can make barathea like the 1880-1910s, both very heavy 16-20oz, and very soft at the same time. I have bought a vintage tailcoat from 1893, in a very, very good state, and the fabric is better than everything I have ever seen. Unfortunately nobody knows who made the fabric, and what mills still have the old machines or proper machines to perform the same quality. Thank you, your answer could save me tens of thousands euros or more, and years of research. Did Camps de Luca offer great advice on fabrics when you got your suit done with them? Yes, the advice was good. Hi I just bought fabric it’s labeled as Minova England is it still exists mill or just a name. I wonder if there is any real quality difference between most mills and brands. I am looking at two books. The Classic from Hardy Minnis and the Royal Classic from Dugdale. They are both traditional worsted in 12/13 oz. Should I only choose based on style or can I expect any quality differences? Thanks for a great site. We’re doing MTM in China and a supplier offered me the brand “Fitzgerald” which they claim was founded in Huddersfield in 1845. From your explanation and what the supplier said, I’d guess they’re a merchant rather than a mill. But a Google search doesn’t lead me anywhere. Have you heard of this company? To be honest, the mills to the end user is almost wholly irrelevant. 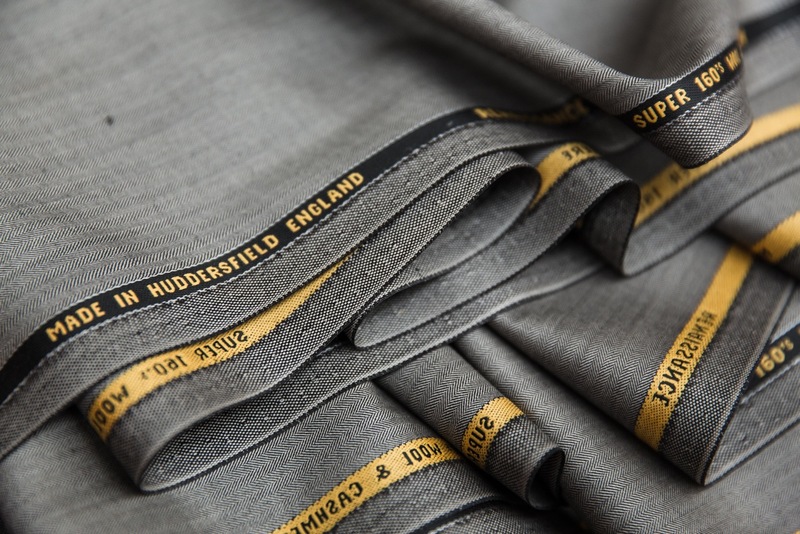 If you choose a cloth from a Yorkshire merchant, you are not going to be disappointed. If you want a 12oz charcoal flannel, look at books from the obvious choices; Smith, Dugdale, Lesser etc and choose the one you like best. may be marginal price differences, but nothing much in the scheme of things. 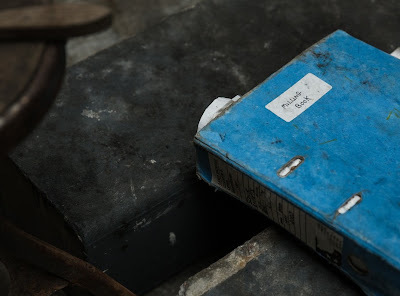 Some merchants are better at some types than others (eg Bateman are good on mohairs) but if you start o agonise over which mill the stuff comes from you risk disappearing up your own whatsit………. Agreed Malcolm. Particularly as so many are just merchants buying from many places, including Italy. In my view, best to see them as designers and stockists, that should be rated on what they design or pick to stock.